Taking an all-inclusive trip for your family reunion is the best way to get your loved ones together, from far and wide, while providing an outstanding location that will make your vacation unforgettable. Often, a family reunion requires family members to travel in the first place, so why not meet on a stunning beach in Mexico or the Caribbean? With unlimited food and drinks amongst the world’s most beautiful beaches, your party can have it all, from delicious group dinners to private events and more! We can even break down specific room categories for your chosen resort, so you can book either a family suite or an adults-only room, you can be sure each guest is comfortable and stays within their budget. Whether 10 family members or an extended family of 200, we’re here to assist with every step of the process. We work exclusively with groups of 10 or more, and we’re able to offer group discounts ideal for any budget and personalized coordination that will make traveling a breeze. Since we work with large groups we can find group discounts at many of the resorts we feature. These discounts may be based on the size of your family traveling. 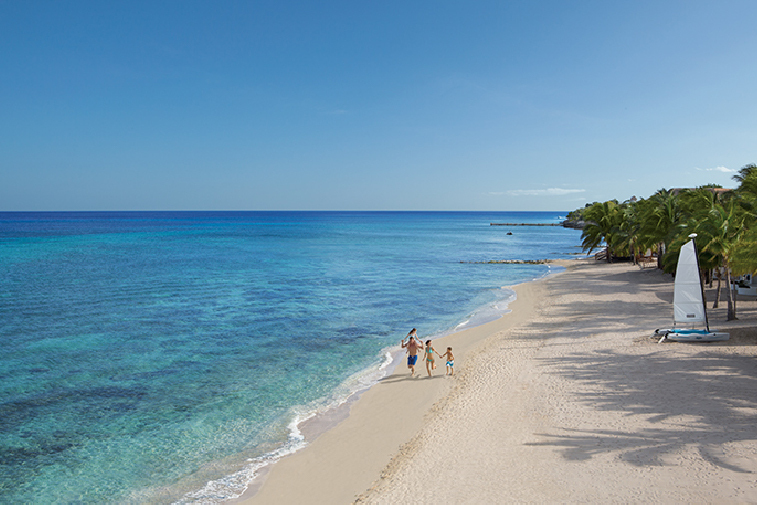 We even offer some resorts where children stay free! With low deposits, family members can secure their room up front and lock in their rate. They can then create a payment plan with their agent, setting up easily affordable payments. Some hotels offer amazing perks for the leaders, who gather their families together. These can range from room upgrades and resort credits, all the way up to an entirely free trip! This is the perfect perk for that team leader who coordinates the family reunion every year. Each family reunion group receives their own website, where you’ll find resort information, room categories, and even be able to pay your deposit and payments directly. You can even upload trip itineraries for the week.